Ph.D. (Medical Science and Media Design), Poet. 「色のシミュレータ」Android 3.0がオープンソースで登場！ "CVSimulator Android 3.0 is now released as Open-Source. "Brighter And Bigger" 2.03 is released. "Chromatic Glass" 2.15 was released. TEDxTalk video "Dive In! 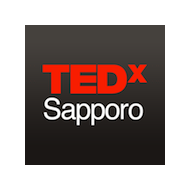 Nothing Ventured, Nothing Gained"「飛び込まなければ道は開けない」at TEDxSapporo 2013 was published. TEDxTalk video, "Seeing Colors, Knowing You Better" 「色が見えたら、心も見えた」, at TEDxKids@Chiyoda 2012 was published. 2018/08/11: Android version 3.0 was released as Open-Source. A vision aid for people who have difficulty seeing or reading fine print due to presbyopia, eye illness, etc..
2016/11/23: iOS Version 2.03 was released. "Chromatic Glass" is a color vision assistance tool for persons who have difficulty recognizing specific colors or perceiving differences between specific color pairs due to a color vision deficiency. It is released free. 2015/07/11: iOS version 2.15 was released. "Dive In! Nothing Ventured, Nothing Gained" in TEDxSapporo 2013. "Dive In! Nothing Ventured, Nothing Gained" is my TEDxTalk at TEDxSapporo 2013 held in Sapporo on 14th Jul., 2013. The same video is also in YouTube. "Seeing Colors, Knowing You Better" in TEDxKids@Chiyoda 2012. My TEDxTalk, "Seeing Colors, Knowing You Better", at TEDxKids@Chiyoda 2012 held in Tokyo on 28th Oct., 2012. The same video is also in YouTube. A TEDx Talk about "Color Vision and Human Diversity". 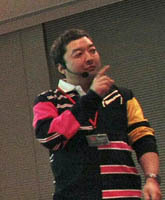 I have made a presentation about "Color Vision and Human Diversity" as TEDx speaker on TEDxSapporo held in Sapporo on 6 April, 2012. 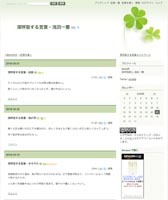 A link of video and hole scrips in English and Japanese are on my blog site. A video is also on the TED official website. "The Day I Saw Van Gogh's Genius in a New Light"
My second doctoral thesis, "Color vision tools to improve quality of life of people with color vision deficiency," is published on the KeiO Associated Repository of Academic resources (KOARA) web site. TEDxTalk,「飛び込まなければ道は開けない」, "Dive In! Nothing Ventured, Nothing Gained" at TEDxSapporo, 14 Jul.2013. 「色のめがね」の記事が北海道新聞に掲載されました。 The "Chromatic Glass" received press coverage of Hokkaido newspaper. TEDxTalk,「色が見えたら、心も見えた」, "Seeing Colors, Knowing You Better" at TEDxKids@Chiyoda, 28 Oct.2012. 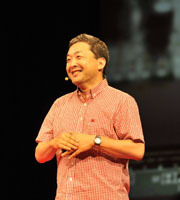 TEDxTalk, "Color Vision and Human Diversity", 「色覚と人間の多様性」on TEDxSapporo, 6 Apr.2012. We adhere to expressions commonly used in academia for accuracy (e.g. "Color Vision Deficiency", "Protan / Protanope / Protanomal", "Deutan / Deuteranope / Deuteranomal", "Tritan / Tritanope / Tritanomal"), while we do recognize the effort to avoid these terms as they are associated "deficiency" or "anomaly".